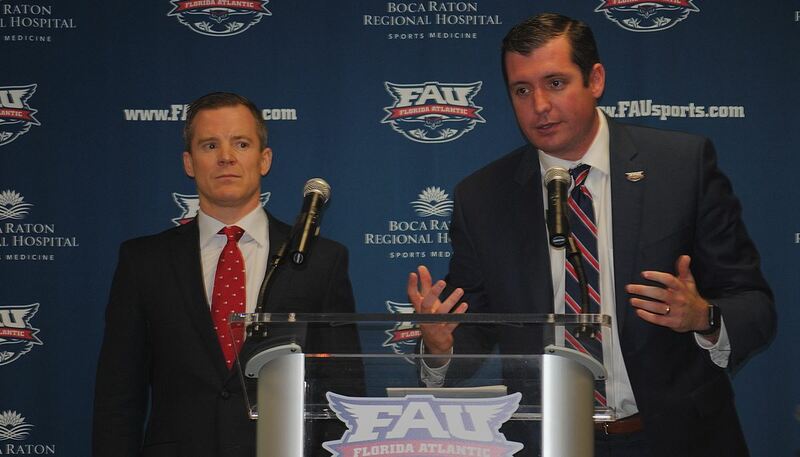 BOCA RATON – New FAU basketball coach Dusty May says his Owls will play an entertaining style of basketball. The former Florida assistant signed a five-year deal, with the terms undisclosed. “I have no doubt that Dusty May will lead this program with great integrity, he will build a winning culture, and he will do it the right way.” White said. 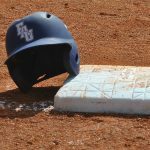 White pointed to May’s success both at the University of Florida and in Conference-USA with the Louisiana Tech Bulldogs as contributing to May being the clear choice to lead the Owls. Ultimately what separated May from other candidates was his success recruiting in the state of Florida – specifically referencing May’s Louisiana Tech teams that fielded key contributors from the Sunshine State. May was the top assistant for Florida coach Mike White – brother of athletic director Brian. Both Brian White and his brother Mike lauded May’s work ethic and relationship skills. “He sleeps 3-4 hours a night, he is a psycho in that regard,” Mike White said. May said that he has been through rebuilds in the past, and is unafraid of the challenges that come with turning around an FAU program that hasn’t had a winning season since 2011. He hopes that recruiting locally will help motivate an arid fan base, bringing more people in The Burrow. Mike White had high praise for his longtime assistant, and said it will be difficult to replace his presence at Florida. May has six years of experience coaching in C-USA, as he was an assistant for the Louisiana Tech Bulldogs from 2009-2015. May will be FAU’s ninth coach in program history, replacing Michael Curry who had a 39-84 record over his four seasons at the helm. May is inheriting Owls team losing four of its five starters, including standout senior Ronald Delph. “We are going to improve, we are going to put a product on the floor that is fun to watch and guys will play with passion.” May said. May said he was contacted by Brian White the day after Florida’s NCAA Tournament loss to Texas Tech on Sunday. It was a quick turnover, as May got the job less than a week later. 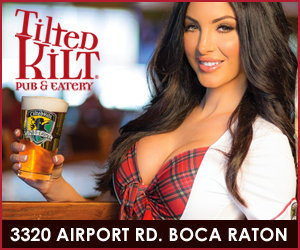 May said he is currently in the process of assembling a staff, and did not mention any specific coaches that will be joining him in Boca Raton. With a family connection, history of success in C-USA, and a talent for recruiting in the state of Florida, Brian White’s first decision wasn’t a difficult one. “At the end of the day I think Dusty just made too much sense.” White said.